It’s a busy day in the global struggle with the Ebola virus – which the World Health Organization says is getting worse and worse. When the WHO briefed reporters this morning (Eastern Time), it kicked off a busy day of Ebola news. The head of the CDC was on Capitol Hill for a hearing on Ebola, where members of Congress grilled him on the U.S. response. Meanwhile, his CDC counterparts briefed reporters on Ebola preparedness. And nurse Nina Pham is on the way to the National Institutes of Health in Maryland. 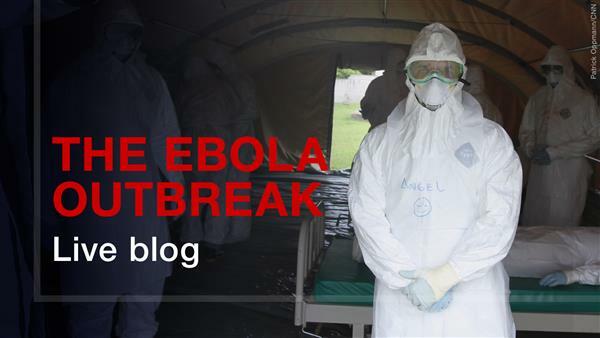 This blog will keep you updated on the latest Ebola news. You’ll also get a peek at the best reporting from CNN and our affiliates, such as heartbreaking stories about children orphaned by the disease and Liberia’s struggle to secure enough body bags for the dead. Also, check out our full report on today's developments. CNN Digital Newsdesk Editor Catherine E. Shoichet has been your guide this evening. We're closing the blog for now. Thanks so much for reading. For updates throughout the night, keep checking CNN.com.